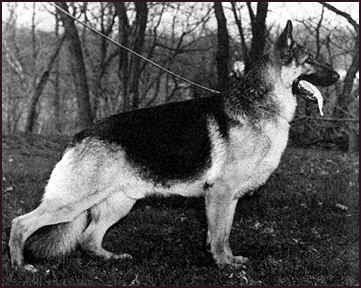 "The Grand Victor and the 2nd Select dog (Ch. Padecha's Gotcha) were so close in overall quality that this decision was a difficult one. I chose the Grand Victor on this exceptional beauty of type both standing and in motion." "One of the most noble masculine eye appealing males. He had a will to move and he did. I only fault him in two minor ways, he could have been a little cleaner going."